PETROL, DIESEL, AND social welfare rate increases - these are just some of the things we can expect in next Tuesday’s Budget. The Budget for 2019 is Ireland’s worst kept secret, probably due to the fact the Taoiseach briefed the media on it way back in August. Gone are the Charlie McCreevy surprise bumper budgets. Budgets have now become a drip-feed of information beginning earlier and earlier each year. We are just a few days out, and budget negotiations with Fianna Fáil are almost complete, with no reports yet of toys being thrown out of the pram. The party that is propping up the government has prioritised housing on its wish list – with affordable housing being a priority – so there could well be some capital investment there. The government has an additional spending for 2019 of about €3.4 billion. However, before you get excited about a windfall, €2.6 billion has already been committed. So that leaves around €800 million to play with. During the summer, Leo Varadkar outlined there will be a rise in carbon tax, which spells out a rise in the cost of home heating and bills for people. While carbon tax will rise, the government will introduce compensation measures for some to offset the increase. Varadkar said in August that the government is aware that some people “who are in poverty or who are the most vulnerable can be the worst affected by that so there will have to be compensatory measures”. Varadkar said he’ll also need to get the green light from Fianna Fáil for this proposal, but reports are that it is good to go. Varadkar has long been saying that the government’s main focus for the next budget is the standard cut off point for income tax and the point at which people start paying the higher rate, which is 40%. Last year, changes to the rate were also made. 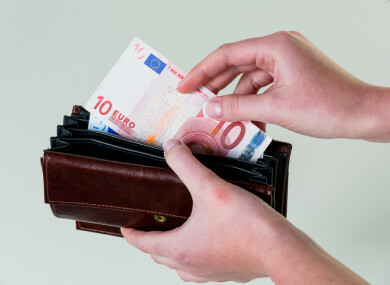 The entry point for single earners being charged the higher rate of tax increased from €33,800 to €34,550, a rise of €750. This means that anyone earning under €34,550 is now only charged the normal rate of tax, while those earning over it have seen a slight reduction in the tax that they pay. The standard rate band for married one-earner couples rose from €42,800 to €43,550. If Varadkar tinkers with the rate bands again, this will mean more money in a lot of people’s pockets. Varadkar has said he does want to look at band rates again this year, stating that people on very modest incomes pay the highest rate of income tax. An adjustment of the USC bands is also on the cards – it’s key to the Fine Gael manifesto. The Taoiseach and Finance Minister have also flagged for a number of months that this year’s budget will include a social welfare package, which will increase welfare entitlements. One thing for sure, there will be a Christmas bonus. There will also be an increase in weekly rates again. Social Protection Minister Regina Doherty said she plans to do something “significant” in the next Budget to pull thousands of children out of poverty but questions hang over whether that will include a €5 increase to all weekly social welfare payments across the board, which was announced in last year’s Budget. The Taoiseach has indicated the government is keen to make improvements to the working family payment and the Jobseekers payment for the self-employed. Varadkar has also confirmed parental leave will be included in this year’s Budget. This measure will give additional parental leave, on top of the maternity and paternity leave options already in place. It will also allow parents share paid leave between them. Legislation for this is already being drafted, but more details will be announced on Budget day. Improvements to childcare provision will also be on the cards. Minister Donohoe looks set to cut the property tax rate, but not until after the Budget. The valuations have not been updated since it was introduced in 2013, when property prices were lower. However, pressure has been on to address the issue for some time. The Health budget, yet again, has had an overspend. Like last year, it is likely an additional supplementary budget of €200m for 2019 will be needed. Money will also be needed to roll out abortion services from January. Health Minister Simon Harris said the cost will be “significant”, with some speculating it could cost about €50 million – however, as stated, this is just speculative. Other items related to health, are increases in cigarettes and alcohol, as well as a gambling tax, which could double to to 2%. As first reported by TheJournal.ie, Tourism Minister Shane Ross has said he wants an increase in the 9% Vat rate for the hospitality sector. However, he doesn’t want to punish small hotels and restaurants, and has therefore floated the idea of applying it only to large hotels, which he said are ripping off customers. However, there seems to be a disagreement with the finance minister on the issue, as he states it is not possible to isolate them. It’s one of the issues that has been a bone of contention between the Independent Alliance and Fine Gael this week. Email “Welfare increase, fuel hike and income tax cuts: Here's what's coming in Budget 2019”. Feedback on “Welfare increase, fuel hike and income tax cuts: Here's what's coming in Budget 2019”.